Since Losing Control 2019 last week we have seen groups coming together to pick up on ideas or themes without our prompting or direct involvement; we have seen questions and challenges shared openly with others in the network; we have had lots of people come forward wanting to help guide the next steps; we have heard individual stories of how the event has helped them rethink work strategies, personally renew their efforts or look again at their practice; we have heard how the event supported many with their own mental health; we have even seen a number of blogs and poetry written! Thank you thank you thank you for your engagement and feedback. After all, this was exactly what Losing Control 2019 was all about – building a platform that brings a diverse set of people together, creates connections, sparks ideas, leads to practical action and sows the seeds that can grow a community of peers to support and challenge each other. We thought long and hard what we meant by Losing Control when we started it 18 months ago. We wanted to express a dissatisfaction with more traditional ‘command and control’ approaches that too often lead to the concentration of power and decision making in a few people, and with a lack of basic humanity in so many of our daily interactions and decision making. We used the term ‘Losing Control’ as deliberately provocative yet simultaneously open to wide interpretation in an effort to bring together as many people as possible from as many backgrounds, experiences and sectors as possible. But we also recognise the challenges that arise when you invite the entire extended family to an event. The principles of Losing Control, Honest Conversation, Practical Insights, Inclusive Network and Powered by You were set to be guiding lights to help that diverse group of people and organisations create a shared space to explore practical ways to take the ethos of Losing Control forward. Some of our own reflections and the feedback from the event make us feel that we need to be paying even more attention to these principles in future. There was plenty of honesty, challenge and debate throughout – but there were also moments where we were talking at cross purposes. Taking a ‘relationship-based’ approach, valuing ‘lived experience’, ‘co-creating’ services, supporting ‘community ownership’, building ‘movements’, effecting ‘systems change’, being ‘inclusive’ and ‘participatory’ – all of these words and phrases are easily used and alluring but they are meaningless until you explore what they look like in practice, try to understand the challenges and contradictions, and come to a common understanding of what they mean for you. They can also be really dangerous. They can become a means to perpetuate the status quo; one person’s ’partnership working’ is another person’s ‘meaningless consultation that changed very little’. The principle of “honest conversations” that helps us overcome this can occasionally get lost in the wave of that over-riding positive energy. It’s completely understandable, we needed that positive energy to galvanise people and build those relationships, so we can start to define different but connected terms and senses of purpose. The event was about making a start and was never on its own going to be enough to get into the necessary depth. We have to be mindful of this, because coming back to creating an “inclusive network” – such positive energy from an experience like Losing Control can all too often fuel hype. Not only does that make turning discussions into action less likely, it can make others who feel an alignment with the core ethos, but who weren’t at the event or carry with them deep questions and doubts too, feel excluded. We are really optimistic about what we’ve started. We had probably one of the most diverse and peer-led participants of any event we and many others have been to, and there was a real sense that this was never about the event on its own but about what we can take forward, together. It feels like “practical insights” and a network “powered by you” – our other starting principles – have begun and can find a space here to grow. That is really exciting. We’re motivated, energised and can’t wait to work with anyone (everyone) who feels a connection to what we have started to make that happen. It’s going to be a busy year! 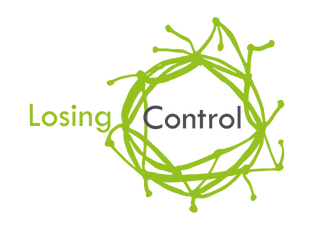 Please do join the Losing Control Network to hear the latest news, resources and events coming from across Losing Control – including the materials, offers of support, opportunities to engage and reflections we are currently collecting from all the session hosts and participants at Losing Control 2019.